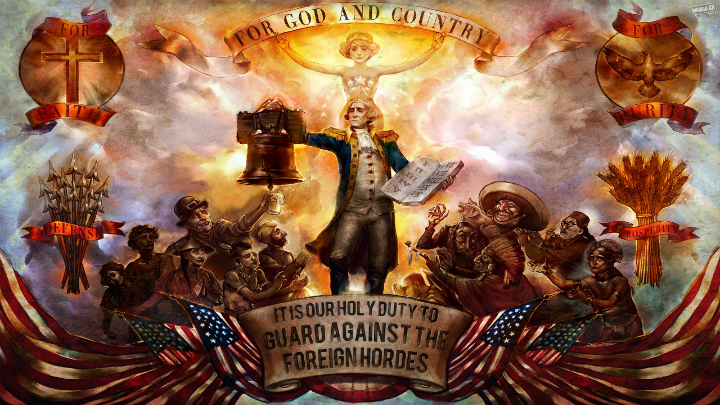 Facetious jokes aside, I have a lot to say about Bioshock Infinite. 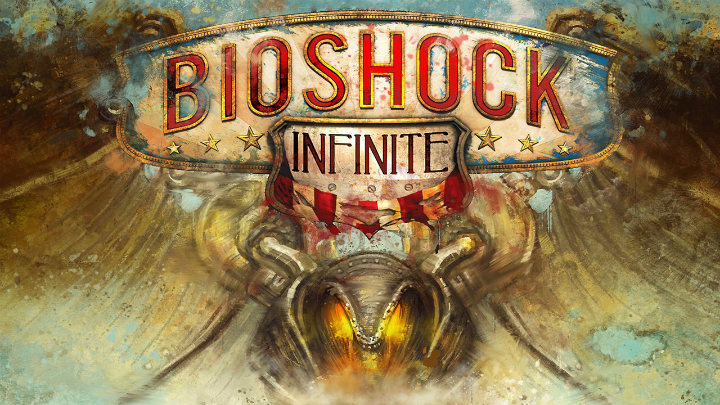 This post is going to be relative unstructured and is something of a response to two other fantastic posts: “Notes on Bioshock Infinite” by Brendan Keogh and this actionbutton.net review of the game by Tim Rogers. I agree with the majority of both those fine posts–Tim’s granular criticism of the game’s mechanics and Brendan’s bullet points about the game’s themes. So let’s dive in–wait, wrong game. 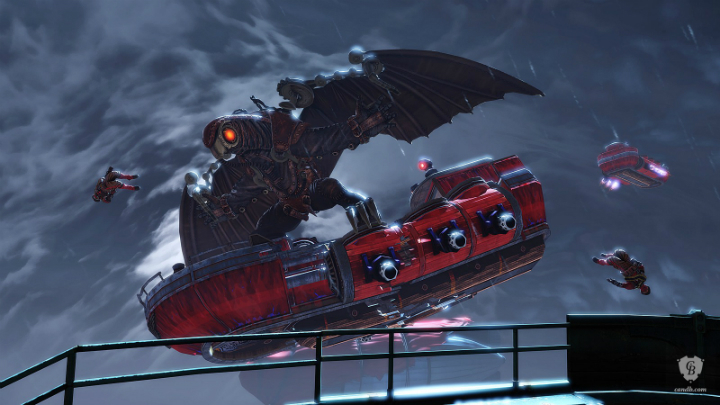 Bioshock Infinite is the Bioshock in the sky. Never before have I played a game that so badly wished it was a book. 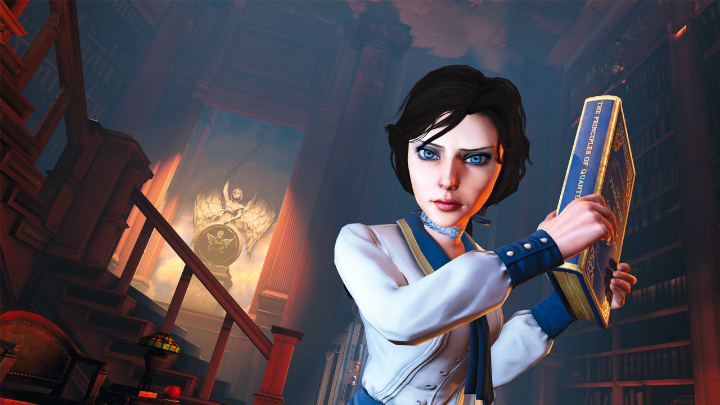 Bioshock Infinite tries to tell a big story with big themes. It’s like something you’d see in your favorite genre novel written by an author with literary fiction aspirations. There’s tears in space-time, giant mechanical birds, but also racism, classism, and bits that explore the nature of violence and redemption. r there would be if Bioshock Infinite was either a) a book or b) didn’t abandon these themes by the wayside halfway through. As pretty much every piece mentions, Infinite is a visually lush, dense game. The first hour or so of the game that follows Booker’s arrival in Columbia are some of the game’s best. It’s also when it’s most committed to building a setting around those big themes the game wants to be about. Seriously, Columbia is gorgeous. There are things to see, hear, and interact with. If only the entire game had stayed this way. Instead it becomes basically just another shooter. At one point, you go through multiple tears with Elizabeth and emerge in some sort of alternate Columbia. It’s all very Fringe-esque; some things are different but others are the same! And according to the game, you’re fighting different enemies, but they all look the same. They’re men and women with guns. They shoot at you much the same as the Columbia Police before them. Except these enemies wear red instead of blue. Again, very Fringe-esque. It’s all the same and it makes no difference whether you’re shooting at red enemies or blue enemies. This mirrors the way the game drops the racism angle from the beginning of the game. Near the beginning, an interracial couple is trotted out in front of the player and a gathered NPC crowd. The couple is being punished for the crime of existing–of being an interracial couple in a city built on Manifest Destiny, American Imperialism, and racism. The player is handed a baseball and given a choice: throw the ball at the couple to the delight of the crowd, or risk drawing the crowd’s ire and attention upon yourself by throwing the ball at the announcer on stage. I have to agree. Not only are binary moral choices simplistic and overused in games, this one falls into the “save the kitten/burn the orphanage” paradigm. And of course there’s no room for nuance. Obviously I (the player) did not want to throw the ball at the interracial couple. Even if I didn’t want to draw attention to myself, as a note in the game warns you just before this scene, it could’ve been entirely possible that my character could have attempted to throw at the couple and deliberately miss. Why was something like that not an option? Without prior knowledge of how the scene plays out no matter your choice, the option of missing would have allowed me to get through the scene unscathed–both morally and within the game’s fiction. This choice didn’t make me “decide how I felt.” Instead it made me feel manipulated, especially because the end result is the same; the crowd turns on you when you’re discovered as the “False Prophet.” I would be able to look past this if the game had remembered to bring these things up later. I thought my choice would have at least affected the narrative in some fashion near the end of the game. Considering how much emphasis Infinite places on little clues, hints, and foreshadowing, that would have been a safe assumption. Nope. The game “stopped being ‘about’ racism and just started being racist.” And adds Golding, “BioShock Infinite uses racism for no other reason than to make itself seem clever. Worse, it uses racism and real events in an incredibly superficial way.” Racism and a whole host of other -isms become parts of the setting like the Disneyland-esque streets of Columbia or the posters on the building walls. But BioShock Infinite was always to me a BioShock game. We just decided that BioShock didn’t mean Rapture exclusively, that it means the look…the sort of hyper-stylized look of the world, the saturation of color, the feeling, the sense of humor, the combat mechanics and the kinds of themes we take on. We deal with the time period and we take the politics, the art, the music, the culture, the science, the advertising, the technology and then we give it a twist — a little bit of science fiction, whether its plasmids or buildings that float and tears that open in space — and we sort of put that all on a pod. I think that makes BioShock Infinite very much a BioShock game. I think as people play it, they’re going to learn more and more how it’s a BioShock game. As soon as Elizabeth gave me that speech, my mind instantly flashed back to that interview. In that moment, she was less of a character and more of a mouthpiece for Levine, trying to tell me exactly how Infinite fit in the larger Bioshock universe. I had lots of other little issues with the game, and Rogers brings up many of them in his review: protagonist with no feet, needs no hands to grab things, eating food out of the garbage, etc. I was also sick of the game reminding me what gear was every single time I found a new piece or to “remember to use my Vigors in battle!” Perhaps I wasn’t using my Vigors because I found the guns to be the best option for dealing with the repetitive fights? A small aside if you’ll indulge me (hell, I’ve already written over 1,500 words so you’ve already indulged me): what happened to the Songbird? Easily the most interesting thing about the game, it feels like Infinite designed the character for an earlier version of the game, found out it didn’t fit with a later build, but decided to keep it anyway. Considering how heavily the Songbird was featured in the marketing, it’s bizarre how unimportant he is in the game. Bioshock was regarded as one of the smartest games. Hell, it even spawned a whole new term used to talk about games and story. Bioshock Infinite doesn’t fall into the same category for me. It doesn’t come close. Again I turn to Keogh who put it so succinctly, “Bioshock convinced a lot of people that games could be smart not because it was the smartest game ever made, but because it was the smartest game a lot of us had ever played. 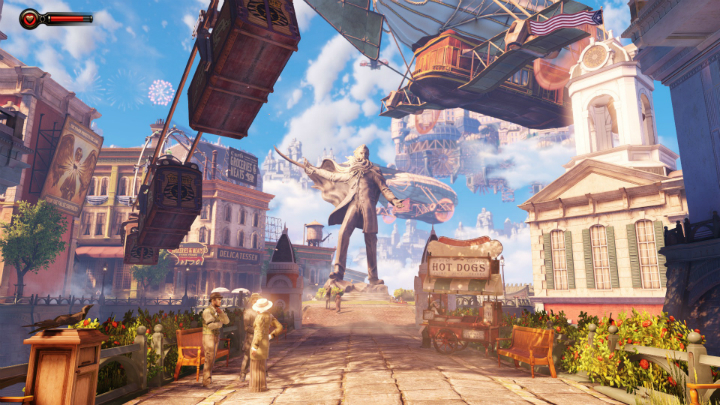 Bioshock Infinite‘s biggest problem is that it is not 2007 anymore.” No, it certainly isn’t. Why Don’t You Just Write Genre X?